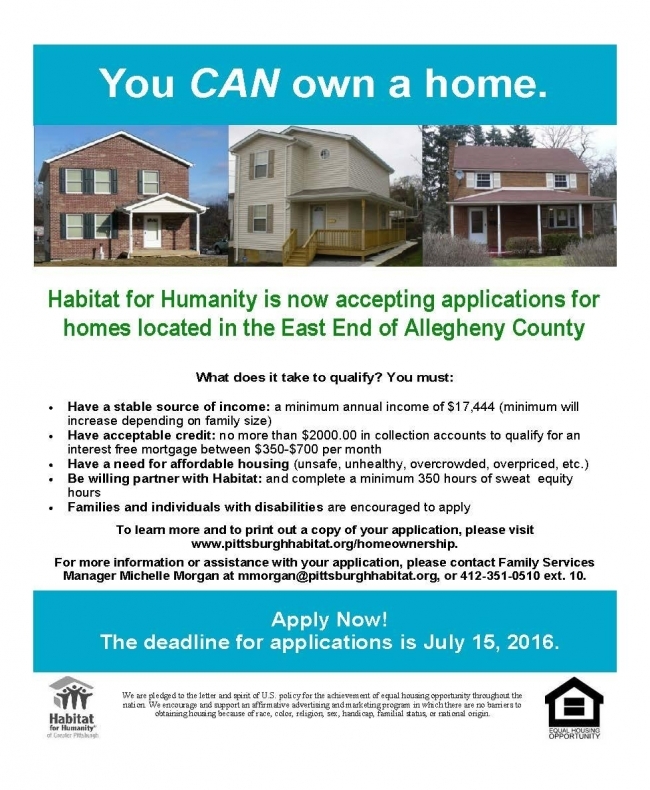 Habitat for Humanity of Greater Pittsburgh is currently accepting applications for their homeownership program. With this specific program existing houses are renovated or new homes are constructed and then sold to low income families that partner with Habitat in the process. At the end of the partnership with the family they have an interest free, 30 year mortgage with a typical monthly mortgage payment of roughly $350-$700 per month depending upon their annual income. This is a wonderful opportunity for some families looking for a better place to call home.